The leatherback turtle beached on Sunday has revealed the multiple ways mankind threatens marine life. It is a sad tale of our mindless economic progress, says Philip Hoare for The Guardian. It’s a beachcomber’s nightmare: an enormous leatherback turtle slumped on a Cornish strand. The 1.8-metre-long animal, discovered on Sunday at Marazion beach, has since been necropsied (an animal autopsy) by researchers from the University of Exeter, who found plastic in its stomach. Leatherbacks, like other endangered marine turtles, rely largely on jellyfish for food, and a billowing bag in the water can look very similar. 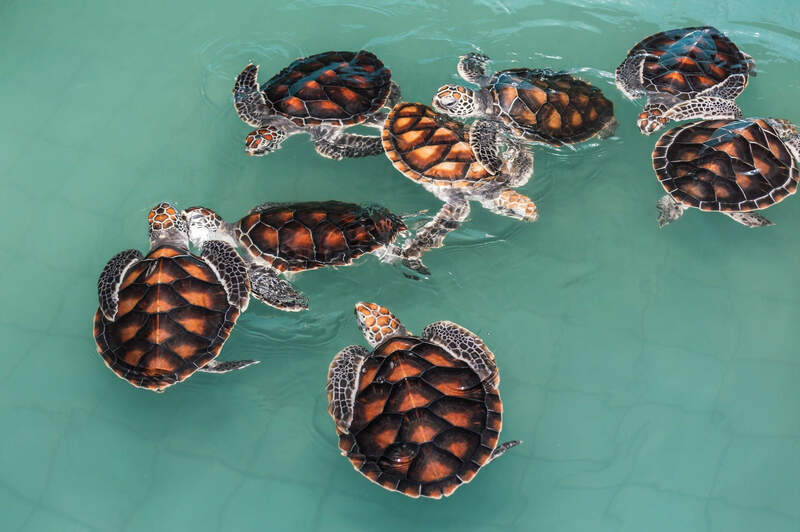 The university reports that it has found plastic in “almost all” of the turtles it has examined. It estimates that 1,000 turtles die each year as a result. When 29 sperm whales stranded in 2016, the media – including myself – reported that one of the whales had large pieces of plastic in its guts, including a section of a car. But last week a report released by the University of Utrecht indicated that plastic was not a factor in the whales’ deaths. Rather, they had taken a wrong turn into the shallow North Sea; unable to find their deep-sea prey – squid – they starved. Of course, plastics pose an immense problem. But it’s easier to slap a tax on plastic bags than it is to slow down the terrible supertanker of mindless economic progress. There are so many other ways in which we affect marine life – many of them due to our ignorance of the sea itself. Large and slow-moving marine animals such as turtles and right whales are more immediately at risk of being, well, run over. Up to 80% of highly endangered North Atlantic right whales have been hit by ships or entangled in fishing gear. Meanwhile, turtles are victims of our warming seas, which lure them further north than their normal range. As a result, they experience “cold stunning”, an often deadly reaction to a change in temperature. Working with turtles has its own dangers for humans. When tagging loggerheads off the Azores, I was told by researchers to be careful when handling the animals, as they often vomited up Portuguese men-of-war. It seemed rather ungrateful, to say the least. Here we were, trying to ensure the preservation of their species, and all they could do was throw up venomous tentacles. But it was sort of symbolic, I guess. This article was originally published as Plastic, warm seas and propellers – the Cornwall turtle is a modern parable at The Guardian on 14/08/2018.